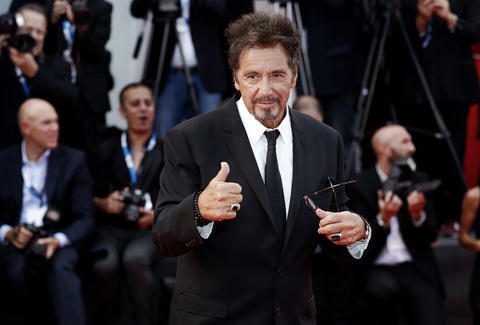 You Can Fly with Al Pacino to London for $37,000... But why Would You? Based on pretty much everything since Heat, save for maybe Any Given Sunday, Al Pacino's films have been a bunch of shouty messes of late. But if you've always wanted to count Tony Montana as a travel buddy, today's your lucky day. Or, at least, a day where you can pay $37,000 to make your dream come true. That's right. You can pay that sum to fly to London with the Oscar-winning actor. Despite his millions, Pacino's not above making some walking around money -- he was in Jack and Jill, after all. The “Fly With Pacino Experience” includes a one-way trip from Glasgow to London aboard Pacino’s private jet with the star himself, along with three nights at a 5-star London hotel, one ticket to his show in London, and some other minor perks noted by The Mirror. But obviously, you're doing this (or not) to get to the root of where "HOO-AH!" originated. Seriously, what the hell is "HOO-AH!"? The trip lasts from May 19-22, but doesn't include the cost of a pile of cocaine, ordering a hit on your own brother, or giving a speech that will make guys literally play their eyeballs out. But hey, maybe those nebulous minor perks are actually really cool. And really, it's just money. Because as Robert De Niro once said, and some Internet user misattributed to Al Pacino, "Money makes your life easier. If you're lucky to have it, you're lucky."